Save the Date! More info coming soon. Vendors: contact us about reserving your spot. Join us for our 63rd Installation of Officers and Directors! 6-8pm with heavy hor d’oeuvres and beverages, Installation at 7pm, cost is $15/pp, location is at the Virginia Commonwealth Bank - Monument Building, 1965 Wakefield Avenue in Petersburg. Please RSVP by January 14 either via email at [email protected] or call the office at 804-732-2742. 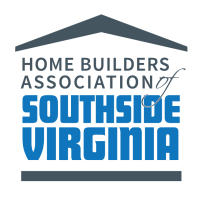 Click here for more information about upcoming HBAV events. Click here for more information about upcoming NAHB events.